Methow Valley Herbs: Why I am shutting down my blog permanently. Why I am shutting down my blog permanently. I have a big announcement and, I have to admit, it’s a bit bittersweet for me. Over the next few months I am going to be moving all the information from this blog to my newly designed site HerbalRemediesAdvice.org. Once I move everything over I’ll be shutting this blog down. I know some of you really value this website and I want to share with you the story behind it and why I am moving on. I started this blog in 2008. I had just moved to the Methow Valley at the time and had high speed internet at the house for the first time in a long time. At that time there wasn’t a whole lot going on in the herbal internet world but it was inspiring! There were only a few blogs like Kristine Brown’s, Kiva’s and Darcey’s. Henriette, jim mcdonald and LearningHerbs had their great sites. There were a couple of herbal forums like the Herbwifery forum and Susun Weed. I loved it all and I wanted to be a part of it! So I started my own blog. My vision for my blog was that I would share my own herbal adventures in the Methow Valley: wild plant hikes, wild food harvesting and herbal preparations, etc. Oh the blog parties we used to have! Over time my readers grew. I grew as an herbalist and my vision for my own herbal calling evolved. My most recent vision for my blog was that I wanted it to be an abundant resource of information for herbalists. Besides my in-depth herbal articles I also wanted to highlight what was going on in the grassroots herbal world. So I hosted a blogroll with hundreds of blogs. 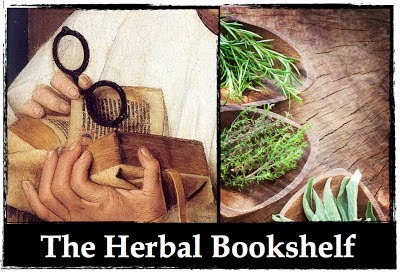 I created an herbal bookshelf with all my favorite herbal books and I even hosted a page for herbal CSAs. Then about three years ago I created a new website. It took me about 9 solid months of work to lay the groundwork. This site was totally different from my blog. I wrote this site for people who were looking for natural solutions to their chronic health problems, not necessarily herbalists. That site also began to grow. And now, with two popular herbal websites, it has admittedly gotten too complex and confusing. People ask, “What’s your website?” And I have to pause and then say something like, “Well, if you want this type of information go here but if you want this other type of information go here…” Not too long ago my dad told me that he wanted to give my website link to someone but he was just too confused about which one was best. If my own dad is confused then it’s time to get some clarity. I spent a lot of time thinking about what to do about the two sites. At one point I considered getting a whole new website, but in the end decided I didn’t want to start over from scratch. So, after a lot of thought, I’ve decided to have only one website and the one that made the most sense was www.HerbalRemediesAdvice.org. Over the next few months we’ll be slowly moving the best articles from my blog to HerbalRemediesAdvice.org. I hope that by combining my two sites it will be a better resource for you! I have spent the past two months working with a designer to totally transform the new site. (It really needed an update, something my dad also informed me of). And for the past several weeks my husband has been working non-stop to get it all programmed. If you know Xavier you know he’d rather be in the woods or tanning hides. I am so grateful for his work! So there you have it! Admittedly this is a bit bittersweet because I love my blog. My blog was 100% me. I did the design, 95% of the photos are mine, the writing (for better or for worse) was mine and I’ve handled everything on that site now for 8 years. What’s more is I’ve cherished all the support I’ve gotten from so many of you with your comments and shares. However, I am very excited to have one website and I am committed to continually improve that site so that it is an increasingly valuable resource for you all. Please come check out the new site! Also I have a gift for you all! I wrote a new ebook: Top 3 Herbs For Your Health. Visit www.HerbalRemediesAdvice.org to get your free copy. Thanks for reading about this transition. I really wanted to share my story with you and thank you for supporting this blog over the years. It’s an honor to be an herbalist and I am privileged to share that journey with you.